Cetirizine is an antihistamine; a type of drug that opposes the activity of histamine in the body. Histamine is involved in a variety of effects in the body – from immune response to inflammation. There are a wide range of antihistamine drugs available, but cetirizine is among the most commonly used. Sold under the brand name Zyrtec, cetirizine is available over the counter and is often used to alleviate the symptoms of hay fever and other common allergies. It works by binding to the H1 receptor, which prevents histamine from being able to cause any effects. So what’s cetirizine got to do with hair loss? Well, we know that androgenetic alopecia (male and female pattern hair loss) is almost always accompanied by some degree of inflammation. And alopecia areata – a rarer form of hair loss – is known to be caused by immune response. Given that antihistamines like cetirizine impact both these effects, it seems possible that there may be a link. Androgenetic alopecia is by far the most common hair loss condition, affecting around 70% of men and 40% of women. It has long been thought to be caused by hormones – specifically dihydrotestosterone (DHT). However, this explanation suffers many problems. Since the publication of this study, a great deal of effort (both in labs and hair loss forums online) has gone into finding compounds to reduce PGD2 in the scalp. This is where cetirizine comes in. Numerous studies have demonstrated that cetirizine reduces PGD2. Of course, these studies weren’t necessarily testing it as a hair loss treatment. PGD2 is known to play a role in a number of other conditions, such as asthma. So, if PGD2 really is responsible for pattern hair loss, it stands to reason that cetirizine may be an effective treatment for baldness. But without trials specifically testing for its impact on hair, this is purely speculative. The link between prostaglandins (such as PGD2) and hair loss isn’t quite that simple either. Prostaglandins are often in balance with one another. One may cause an inflammatory response, whereas another may cause an anti-inflammatory response. It’s kind of a yin and yang thing. It’s no different with hair loss. While PGD2 appears to cause hair loss, another prostaglandin – PGE2 – appears to stimulate hair growth. This is why aspirin looks unlikely to be an effective hair loss treatment. It reduces both the good and the bad prostaglandins equally. Based on these limited studies, there appears to be at least some theory behind cetirizine for hair loss. So, what about actual results on humans? Despite no clinical trials on cetirizine for hair loss, many forum posters online have experimented with this antihistamine on themselves. This thread, for example, is over 40 pages long with many different users reporting on their experiences with cetirizine. Interestingly, almost all of these experiments centred around topical application of cetirizine. Users mixed cetirizine tablets and capsules into a variety of vehicles – from minoxidil to ordinary tap water. Yet despite the initial optimism, enthusiasm for cetirizine died out. Results were mixed. Some users reported stabilisation of hair loss, others reported increased shedding. Minox86 – the guy in the photo above – reported that despite the initial regrowth, these small hairs never grew any thicker or longer. As a hair loss treatment, cetirizine has some theory behind it. However, the current evidence of its actual efficacy is inconclusive. Without controlled clinical trials, it’s difficult to say whether cetirizine actually works. The many self-experimentations documented in hair loss forums used differing quantities, brands, and vehicles for their cetirizine solutions. Drawing conclusions is made even more difficult by the fact that many of these users will have been using other hair loss treatments in conjunction with cetirizine. It’s safe to say that cetirizine is not a hair loss cure though. Nobody went from Norwood 7 to Norwood 1. But the photo above – combined with the compelling theory behind cetirizine – suggest there may be something to it. 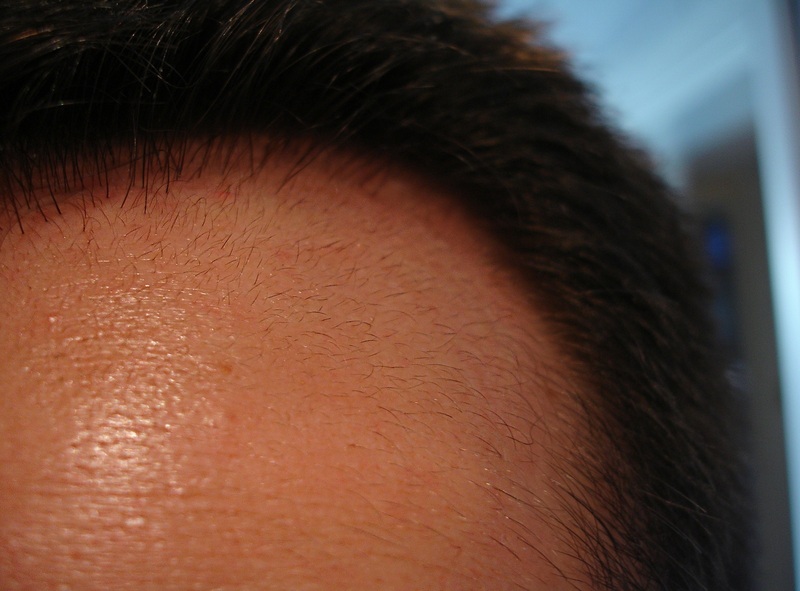 Previous post: Taurine for Hair Loss: More Effective Than Propecia? Where can I find it in Bangladesh! ? So can other anti-histamines like periactin be as effective?